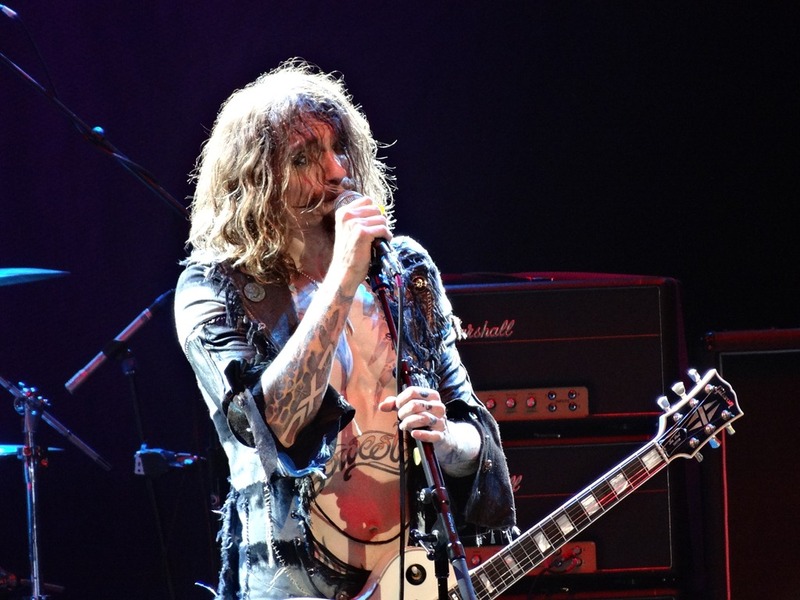 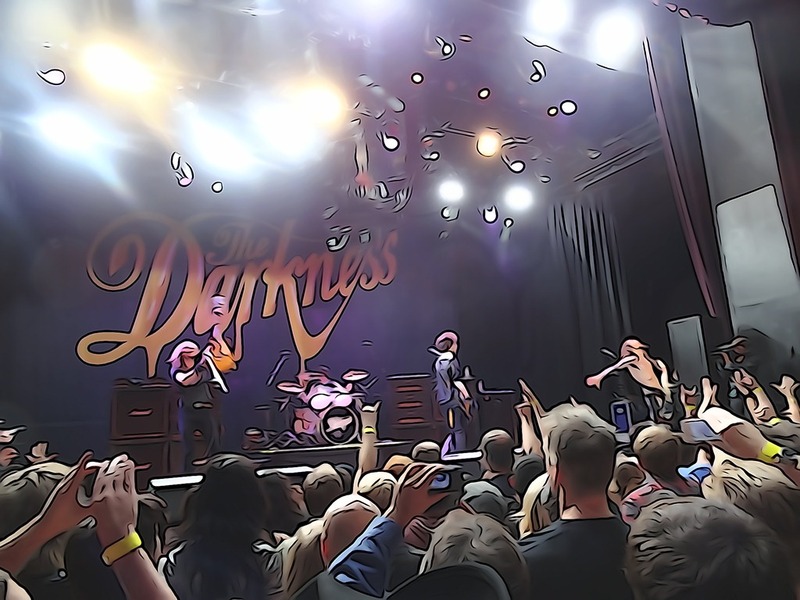 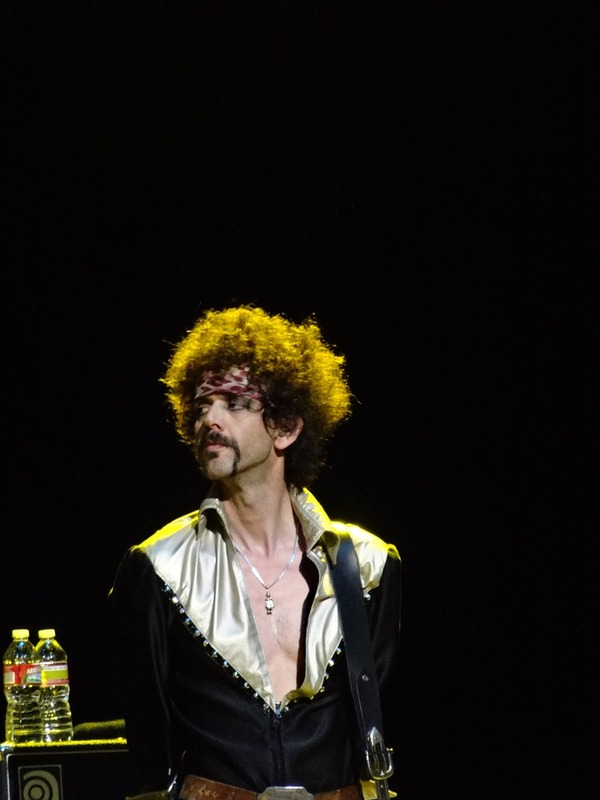 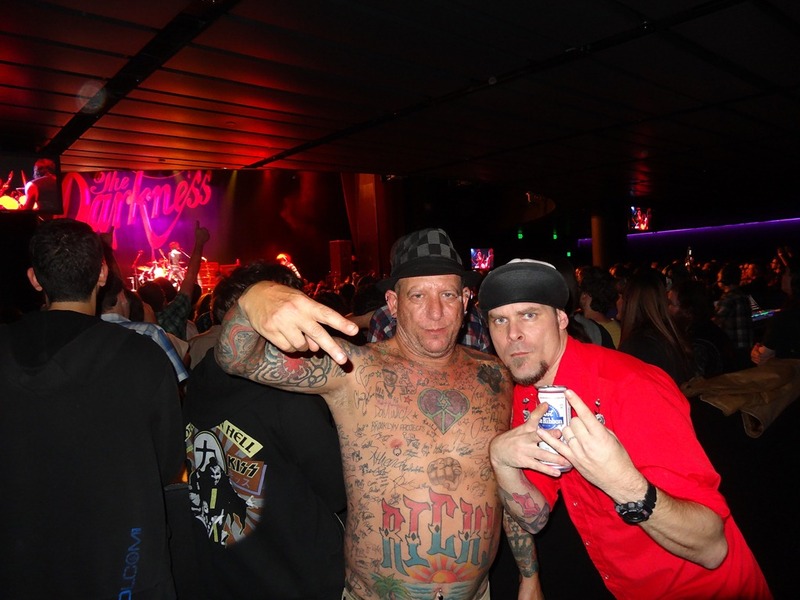 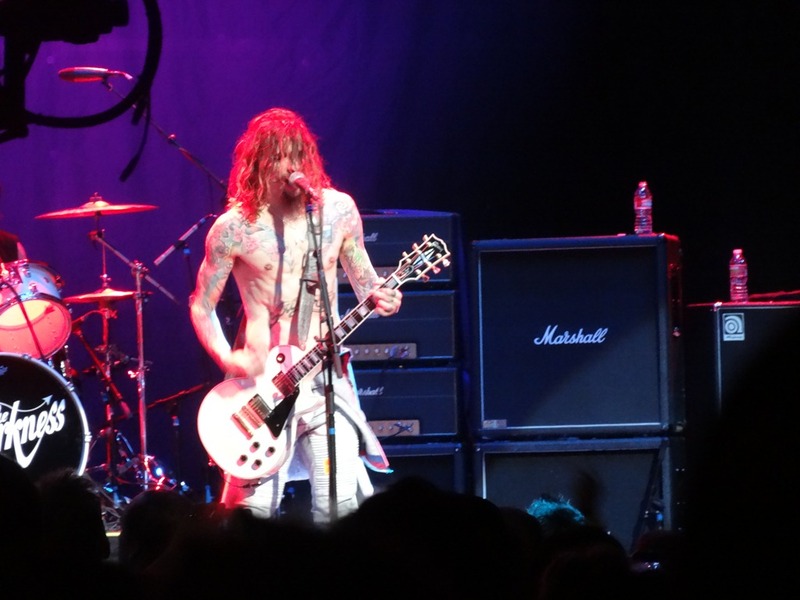 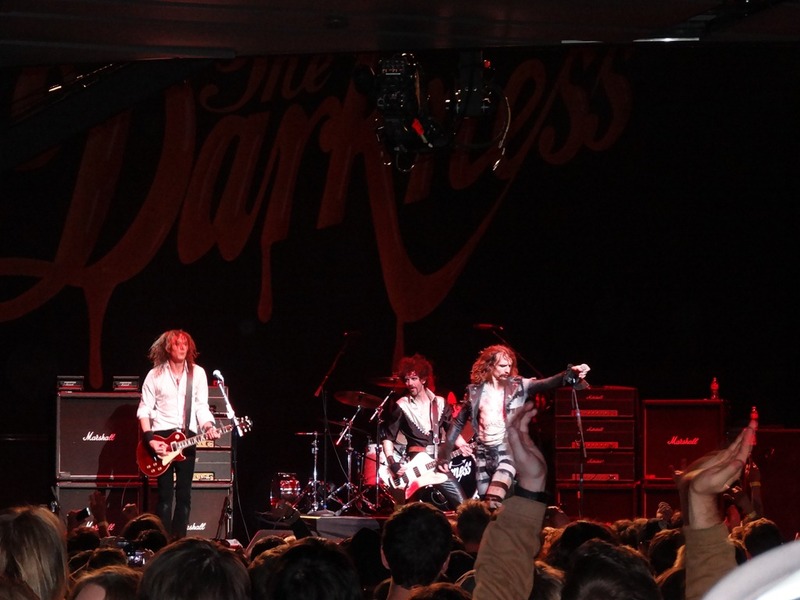 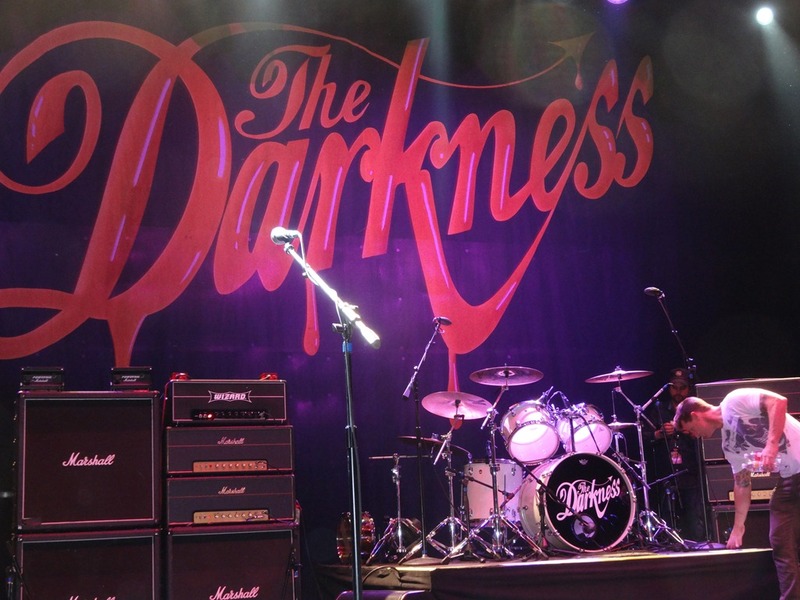 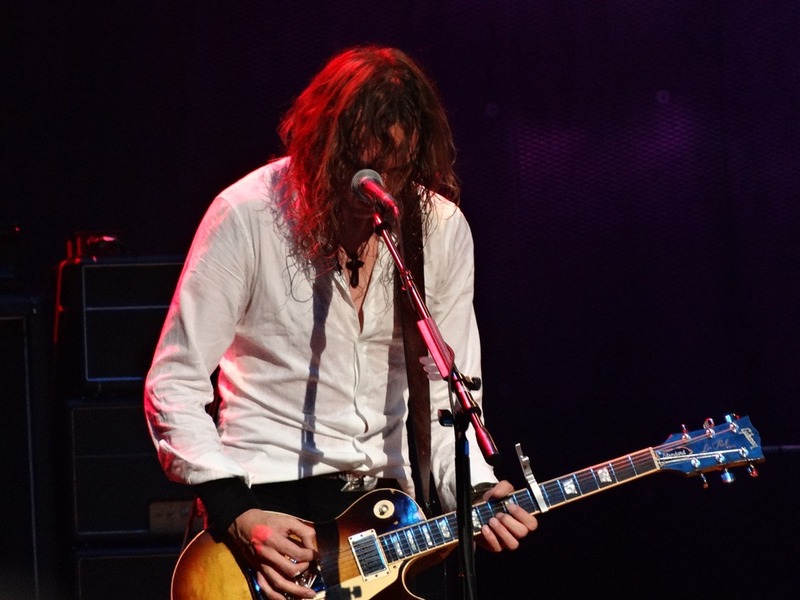 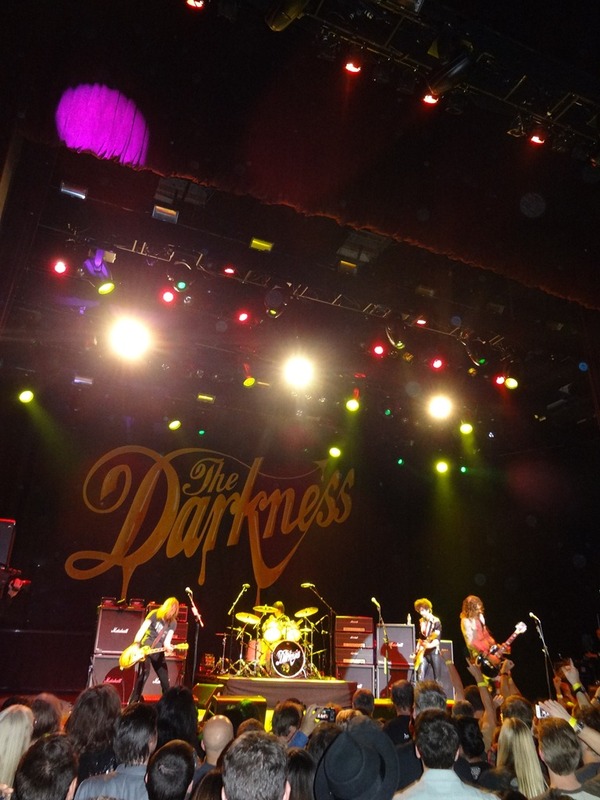 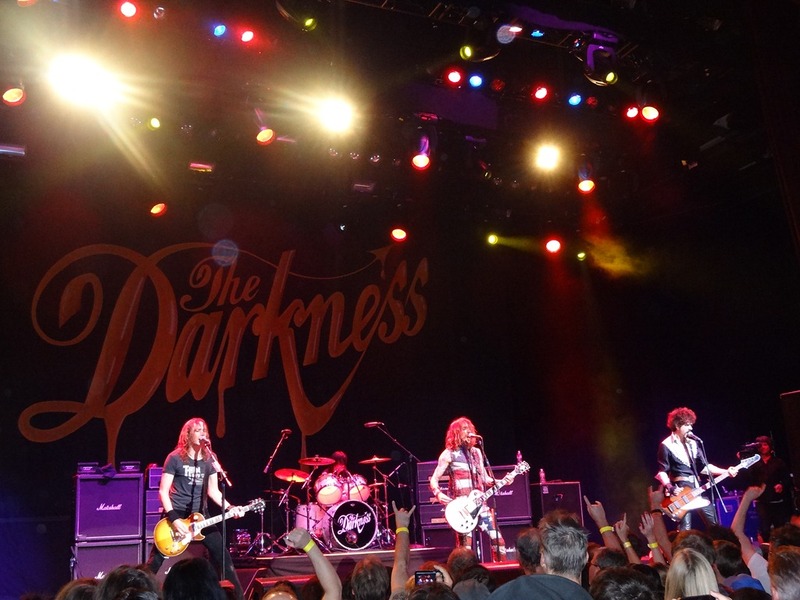 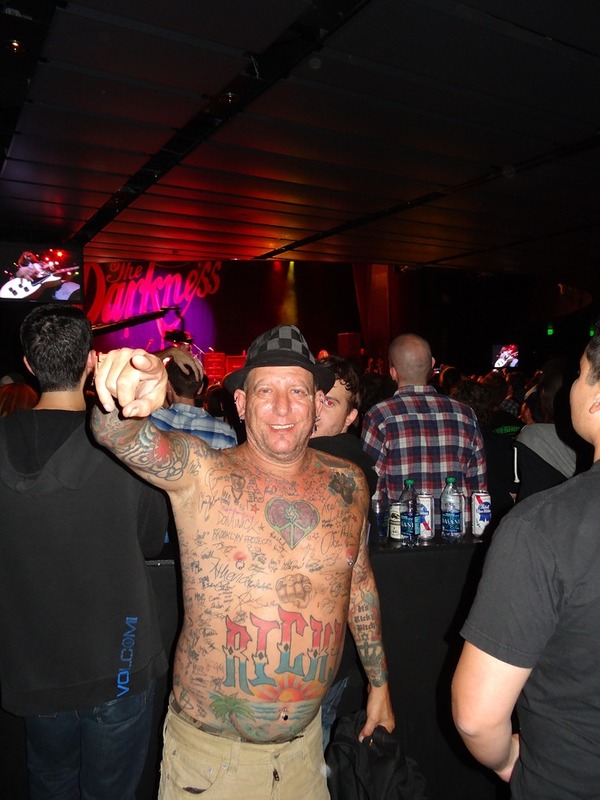 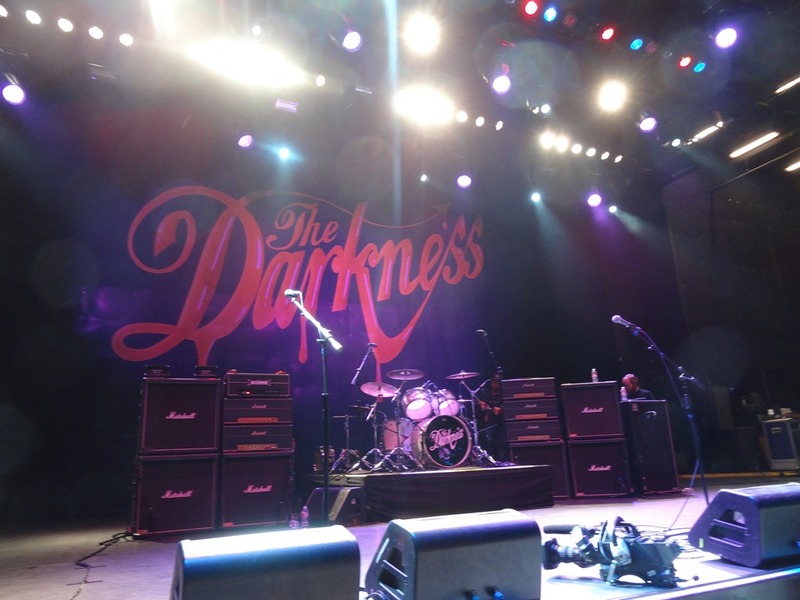 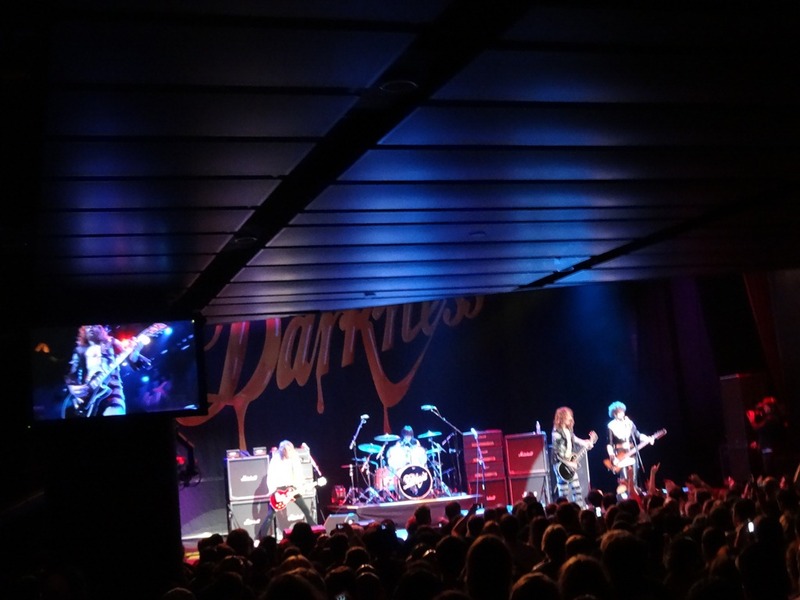 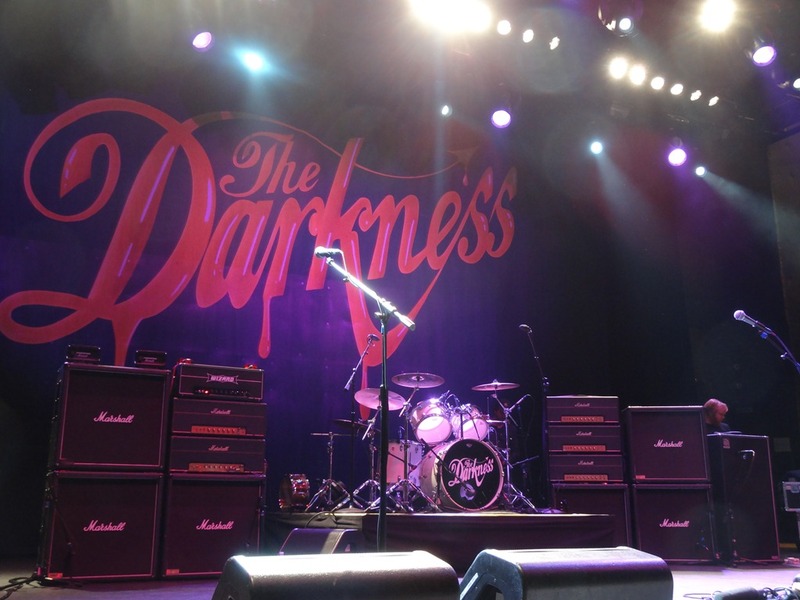 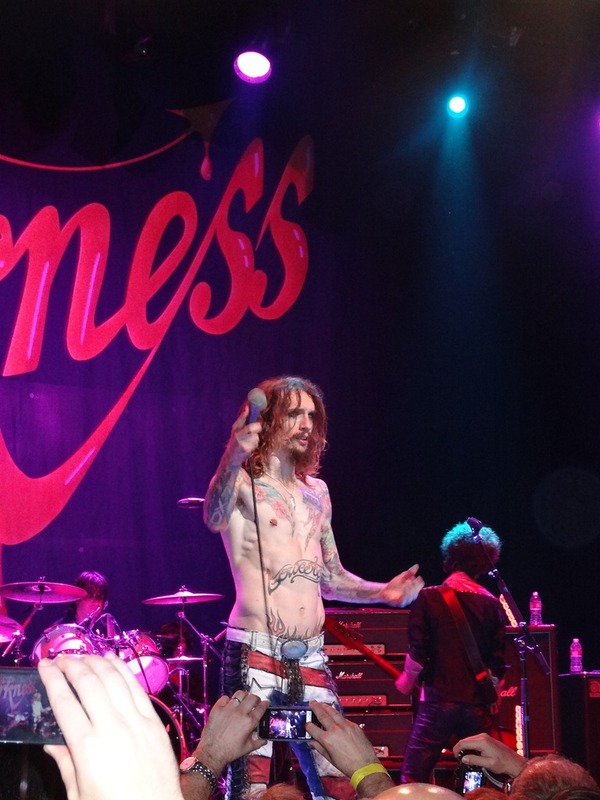 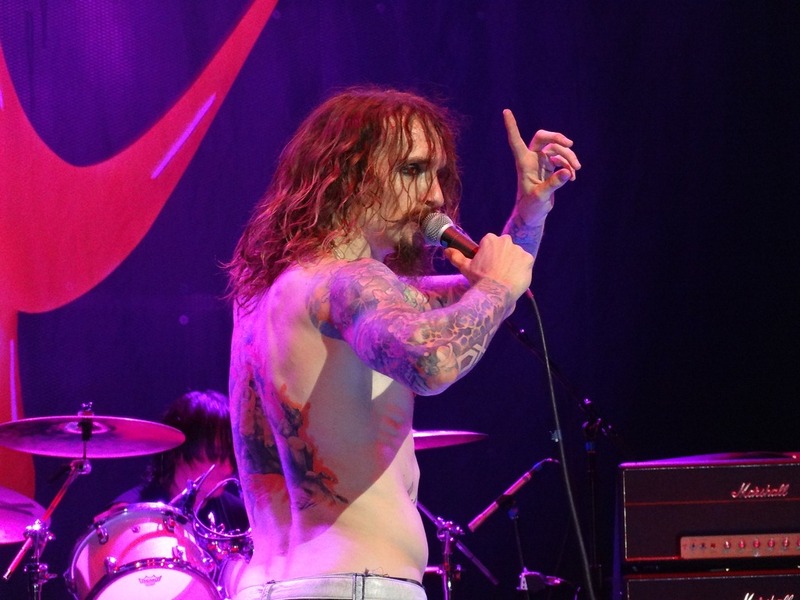 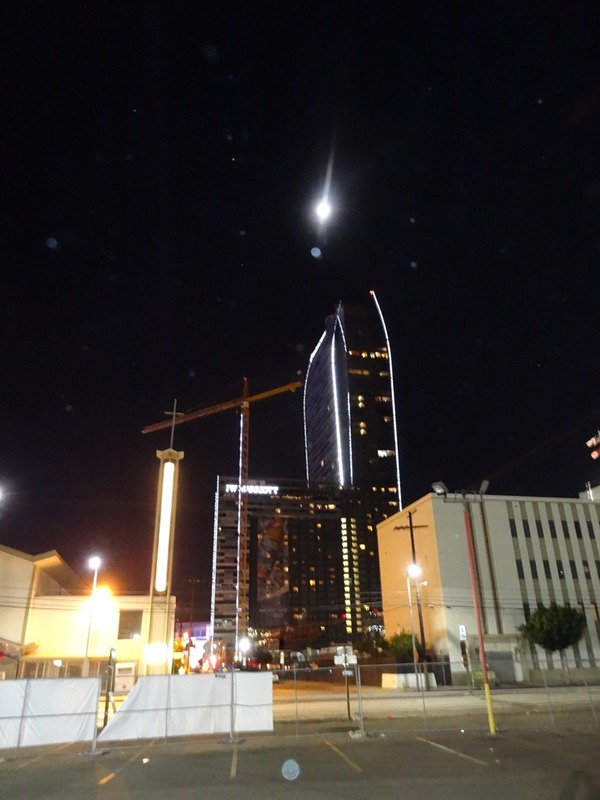 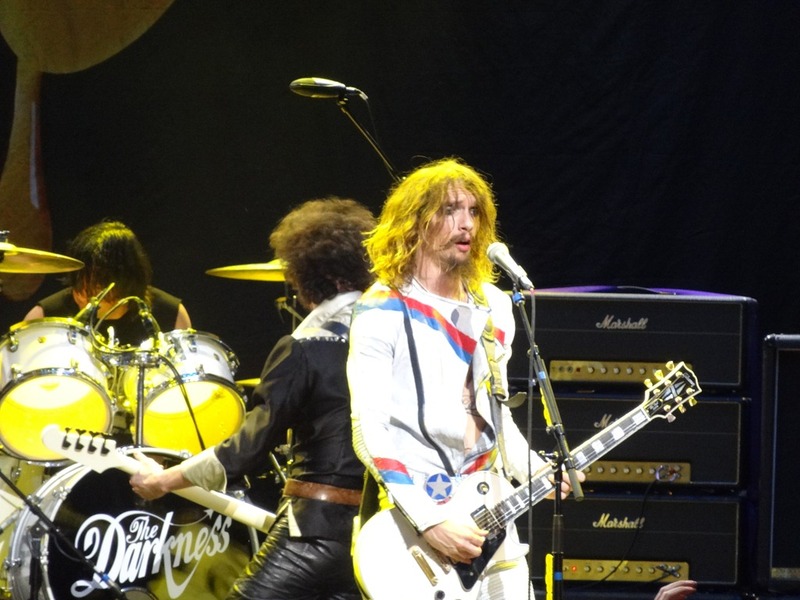 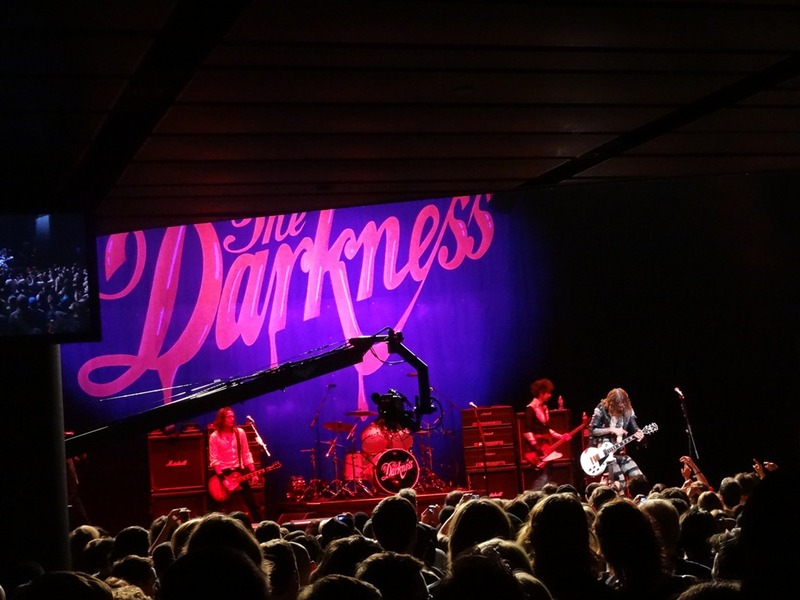 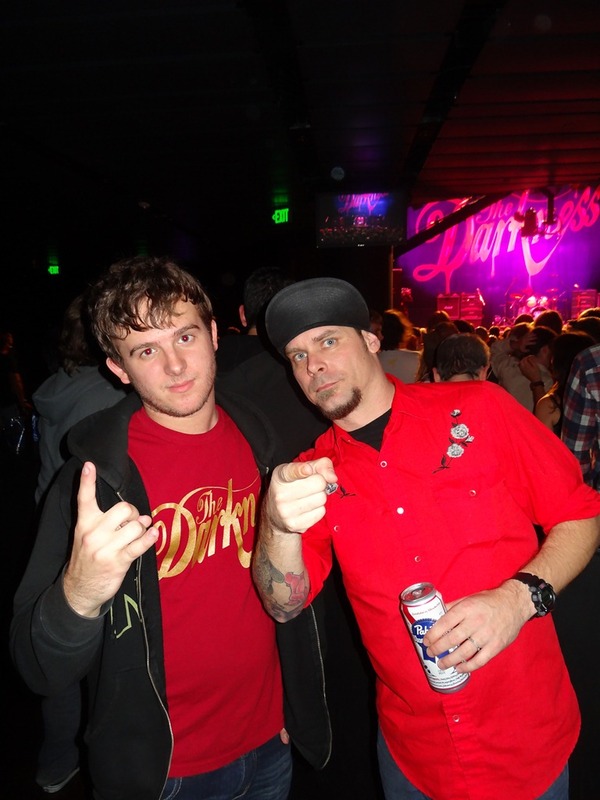 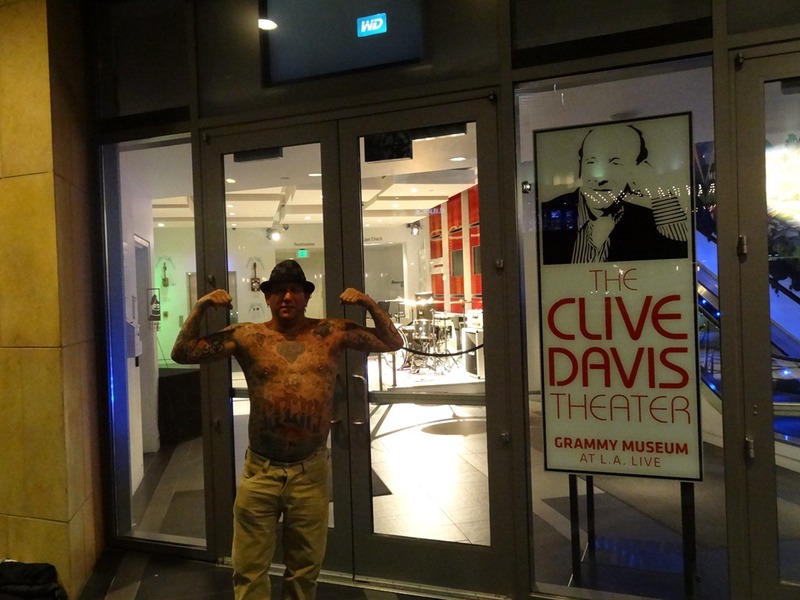 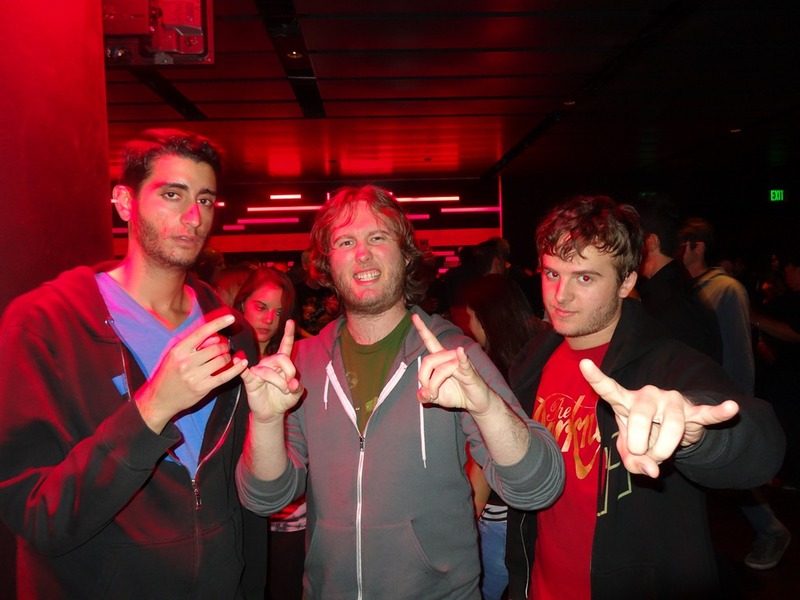 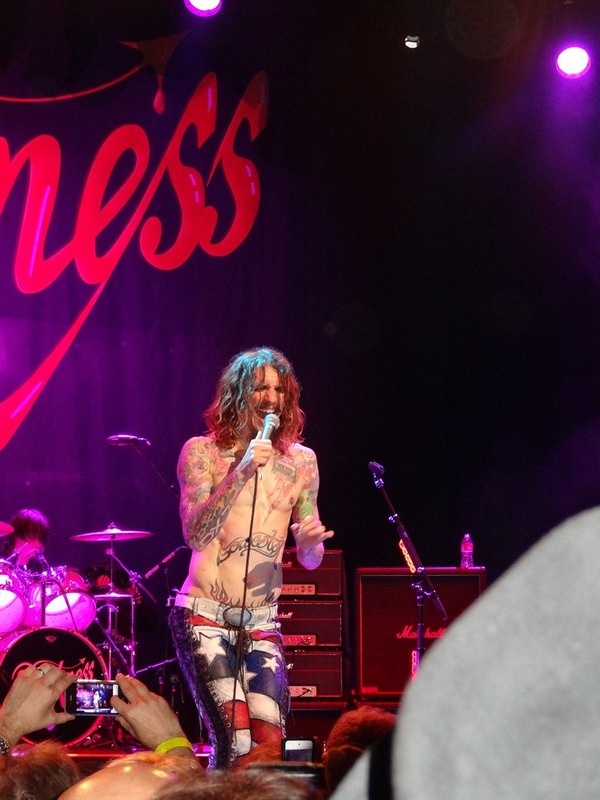 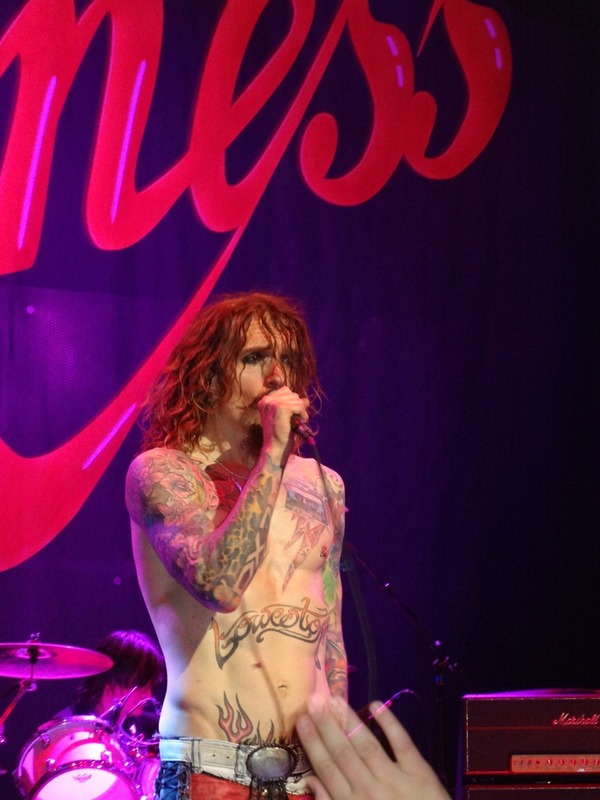 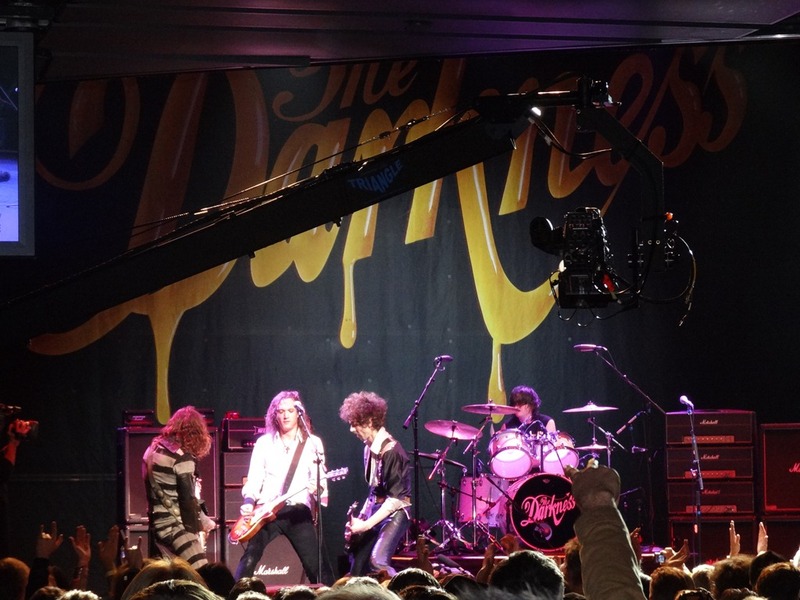 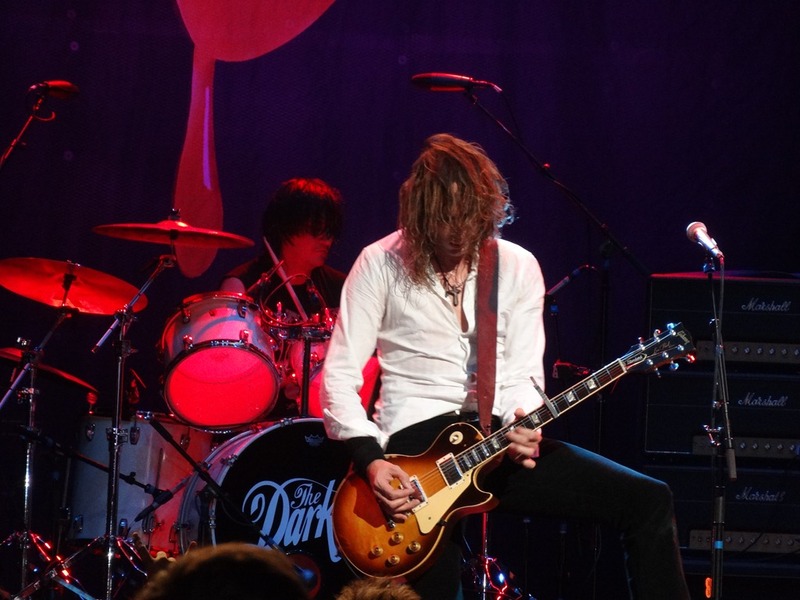 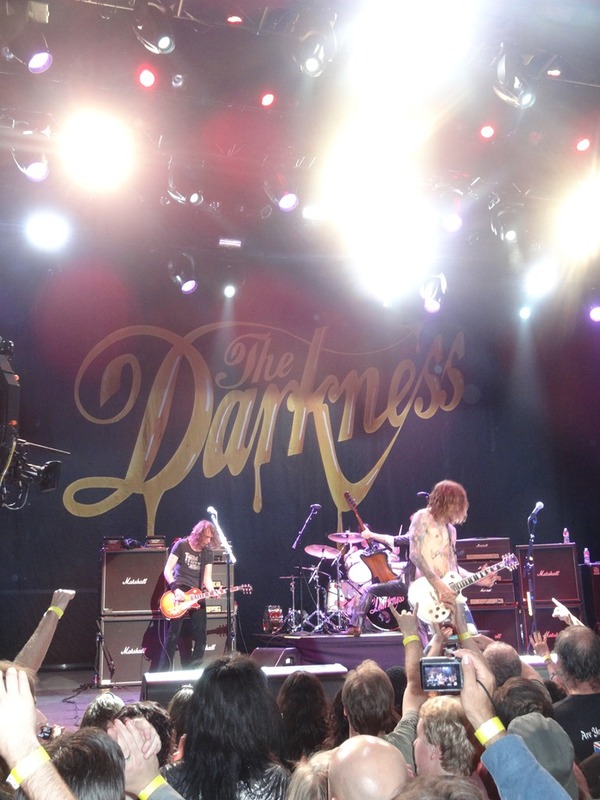 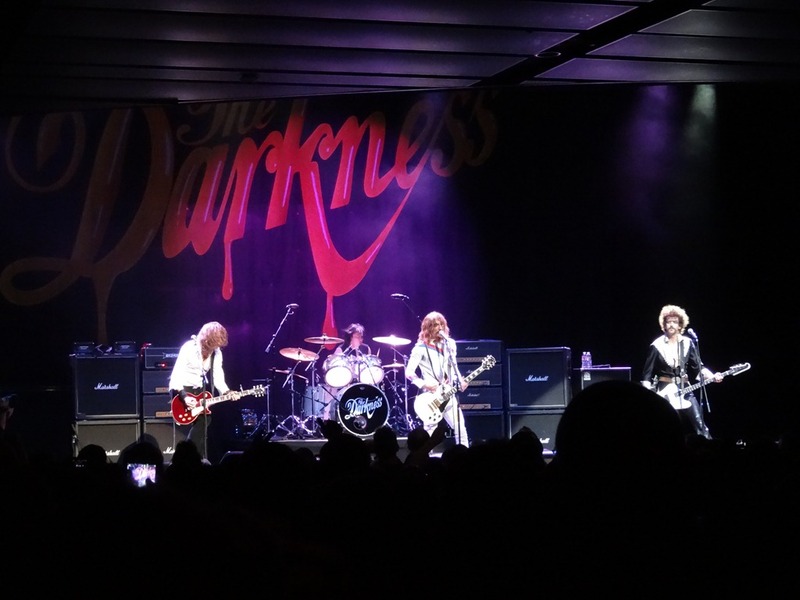 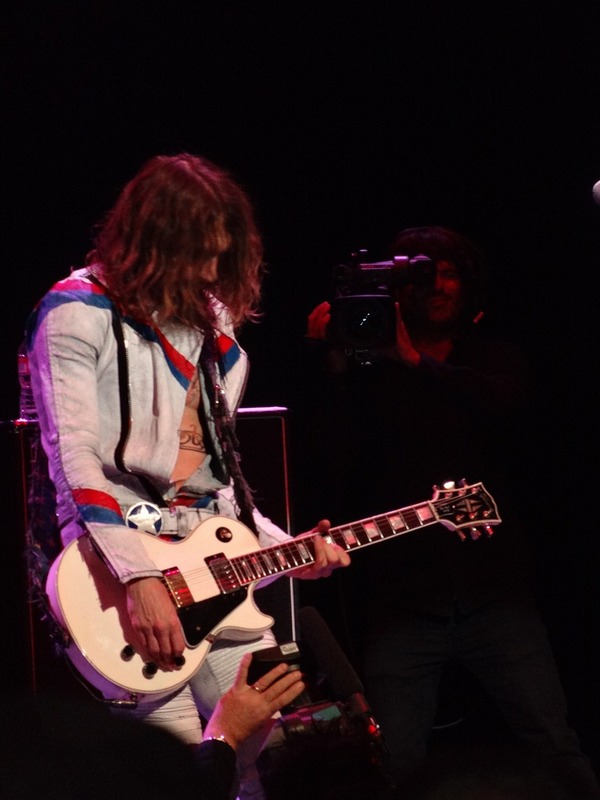 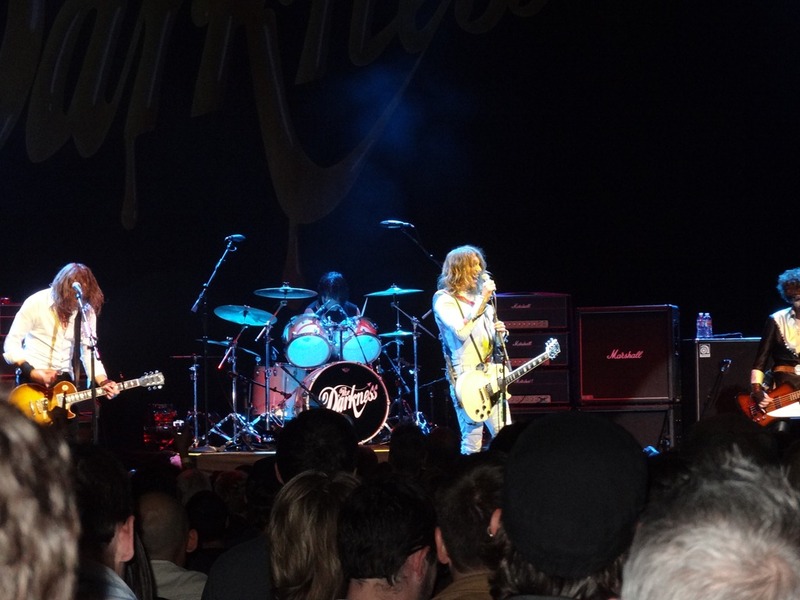 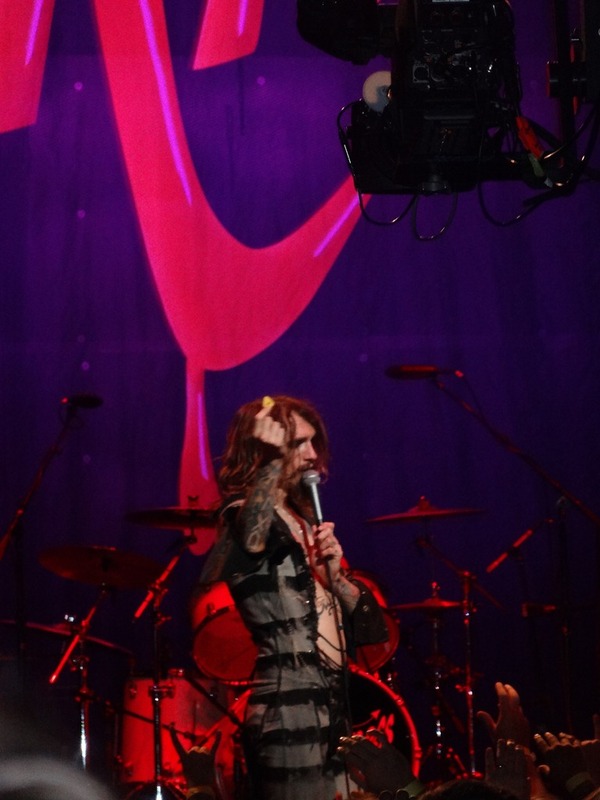 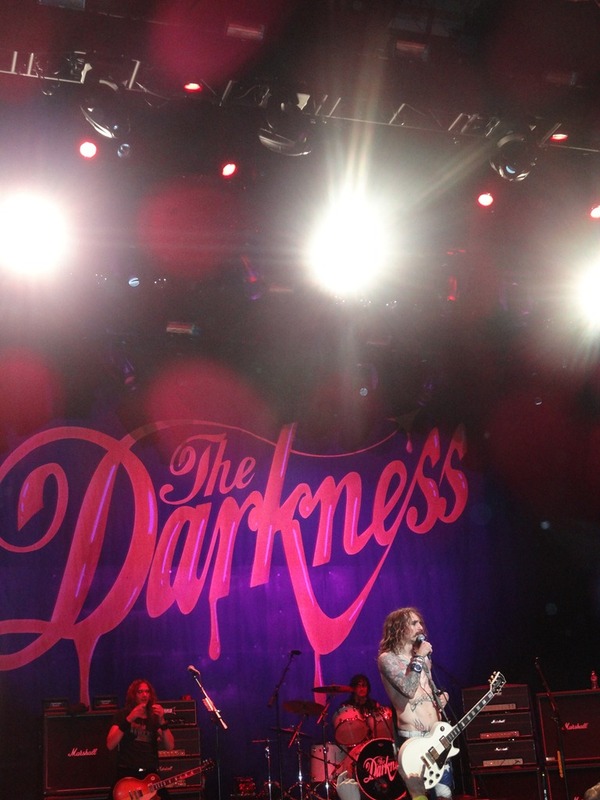 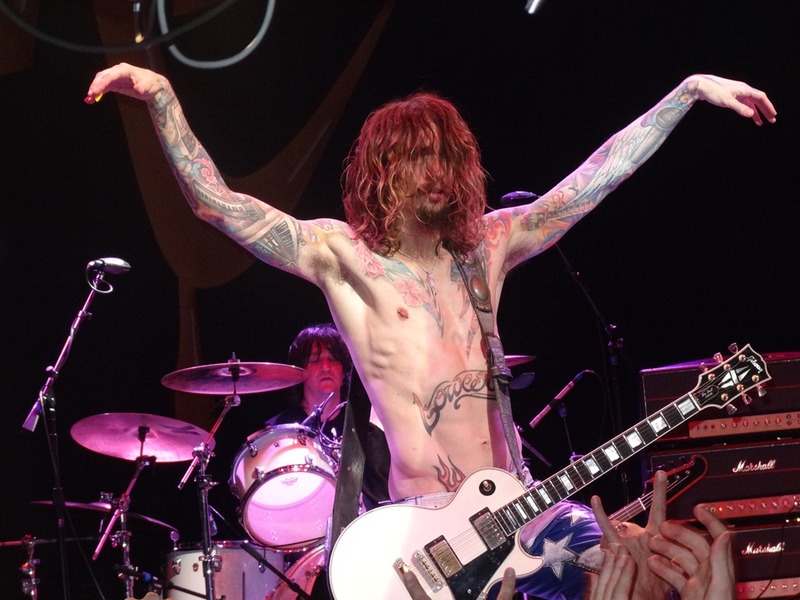 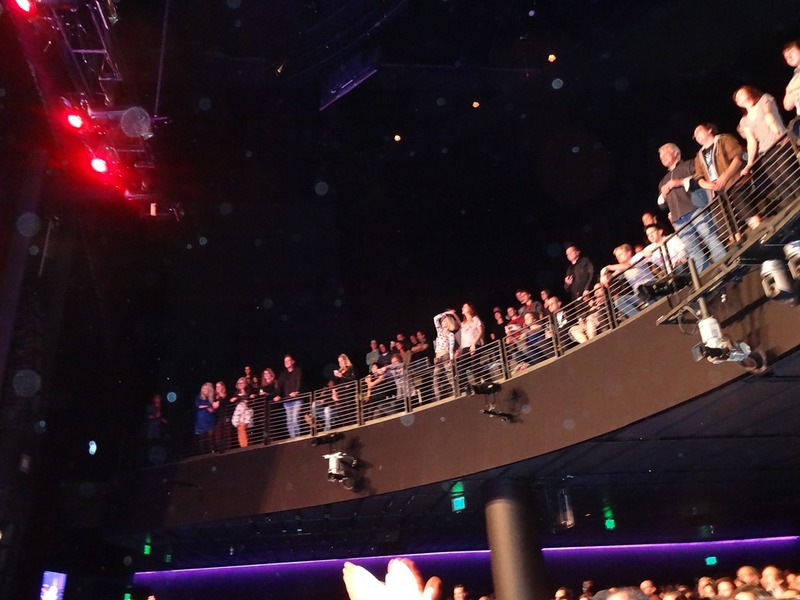 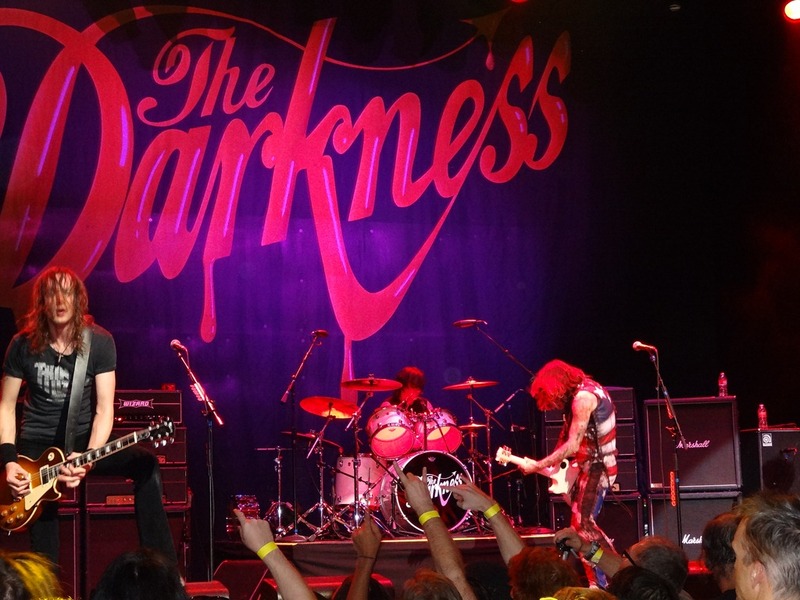 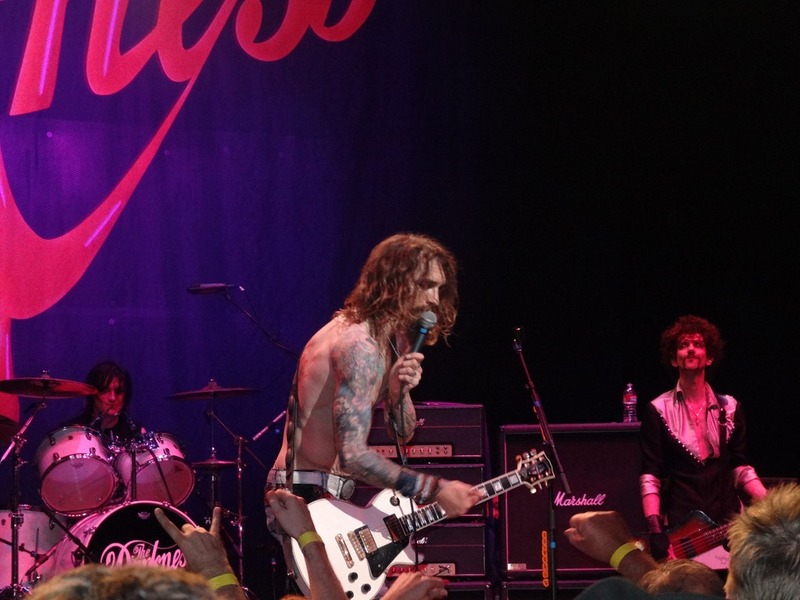 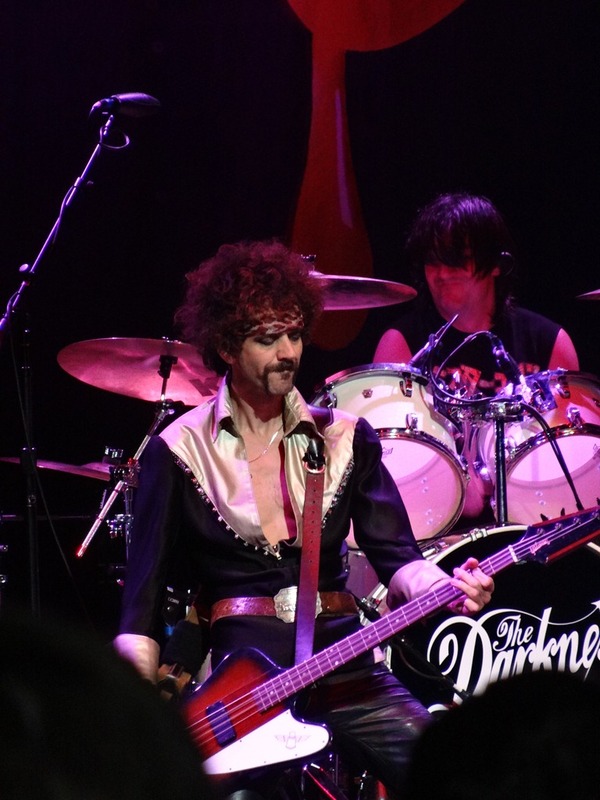 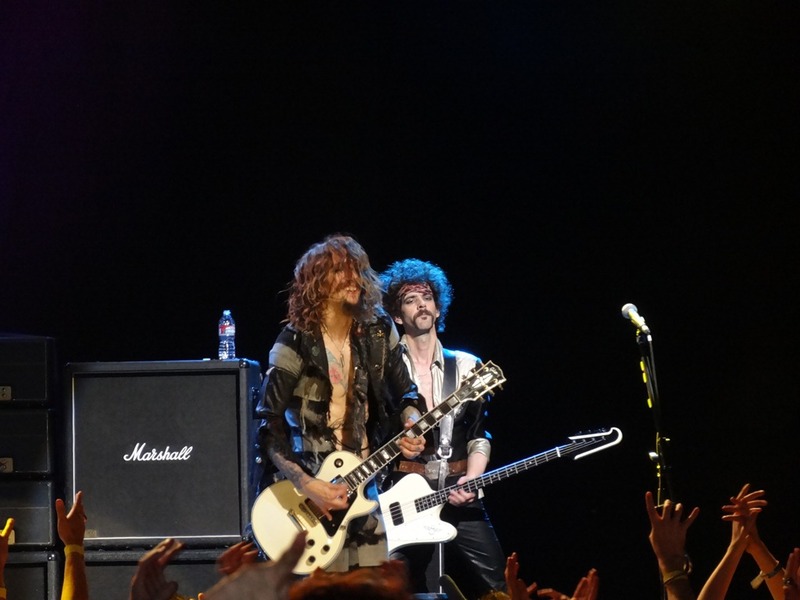 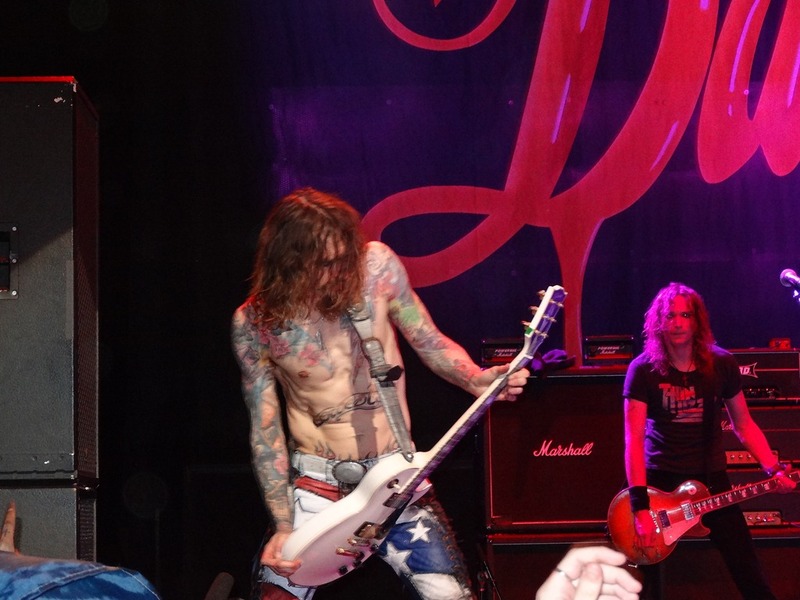 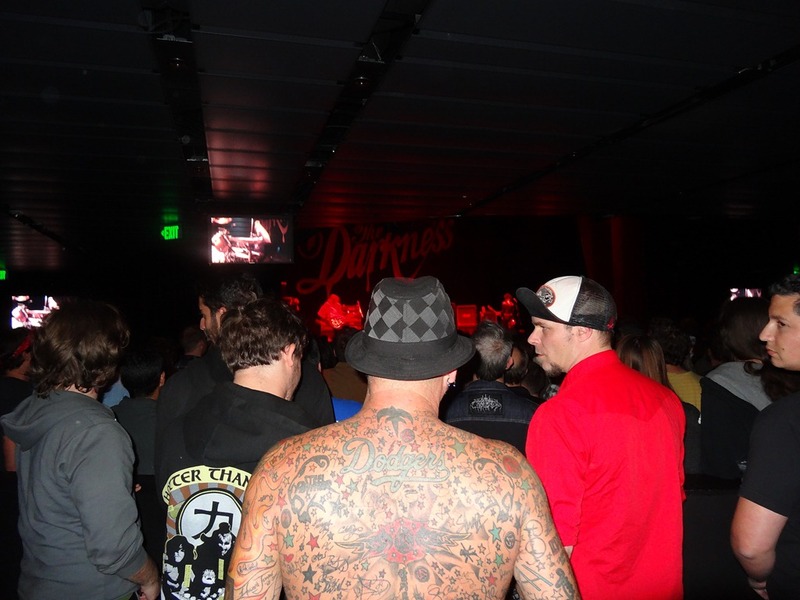 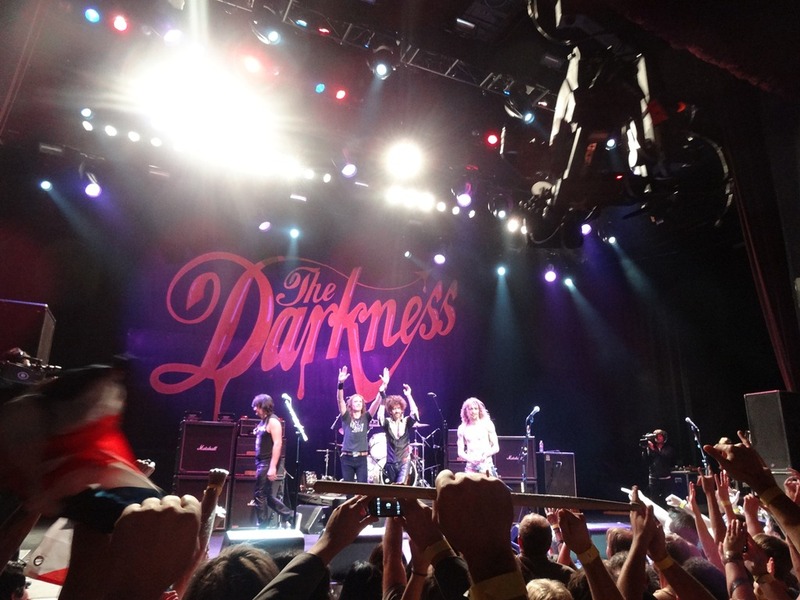 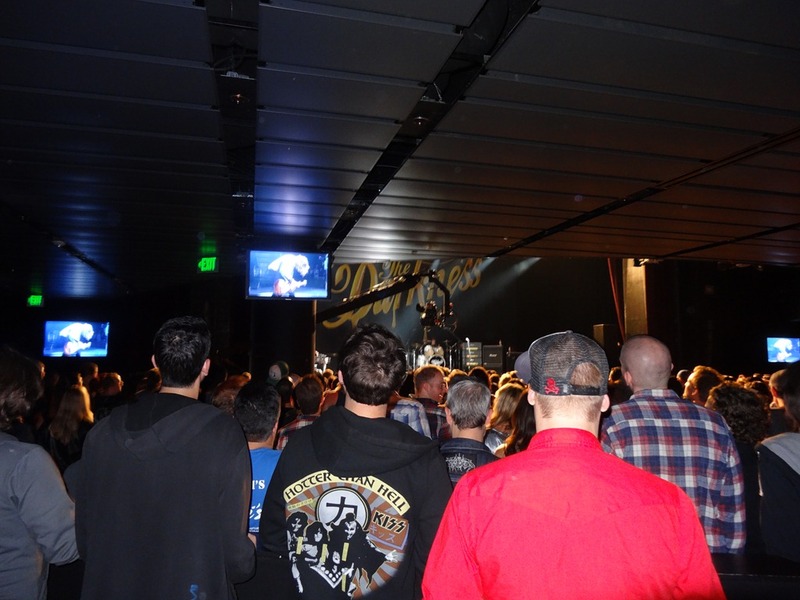 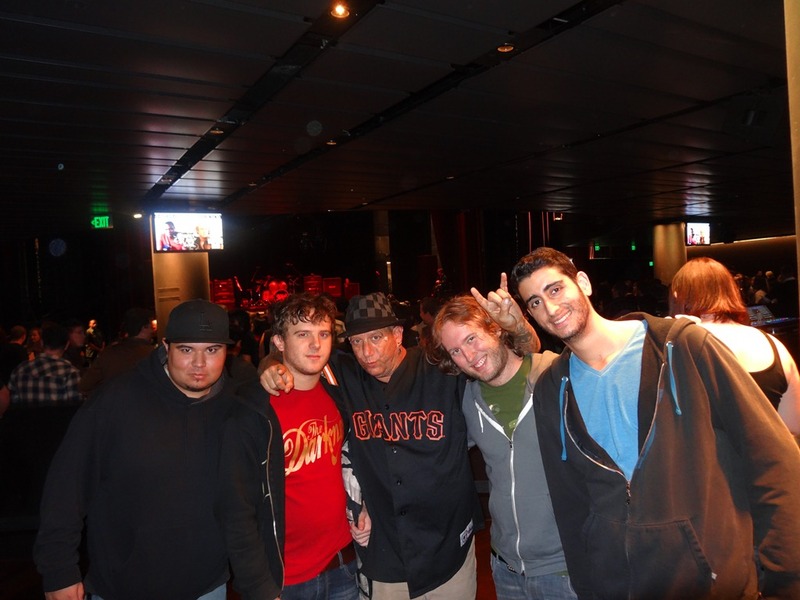 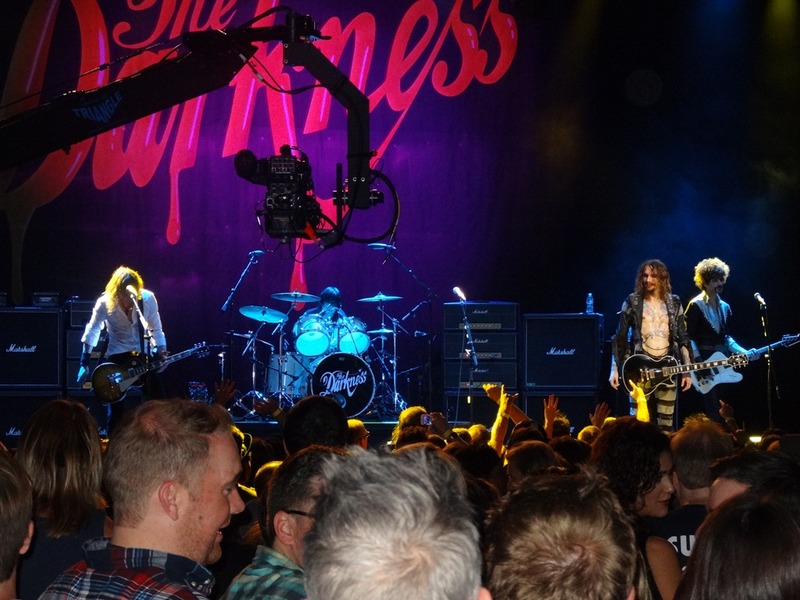 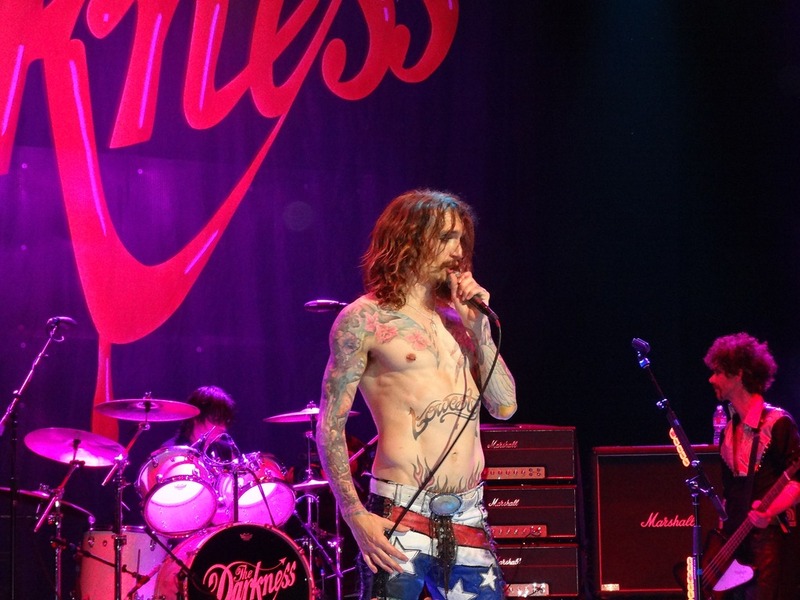 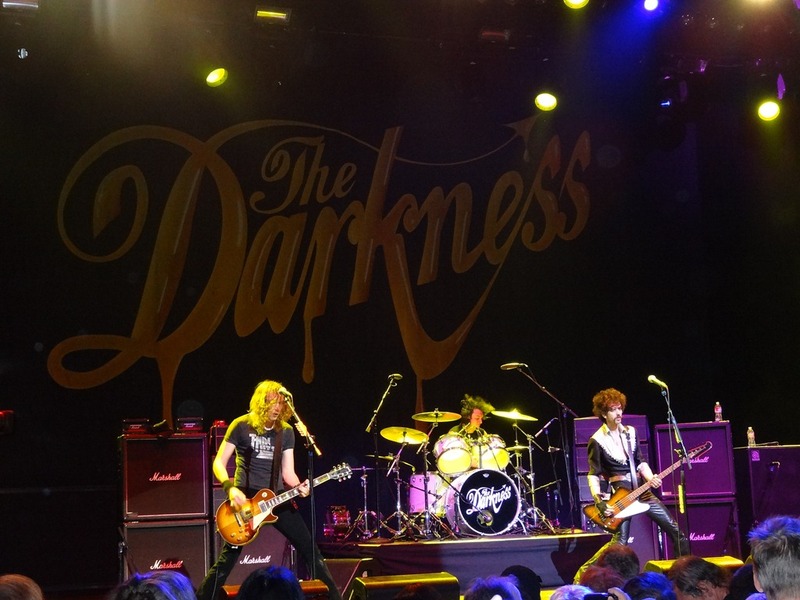 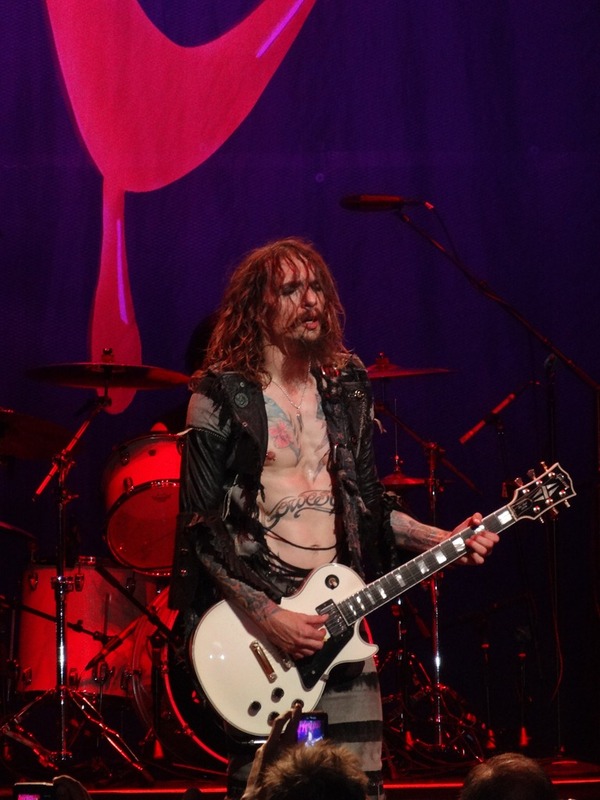 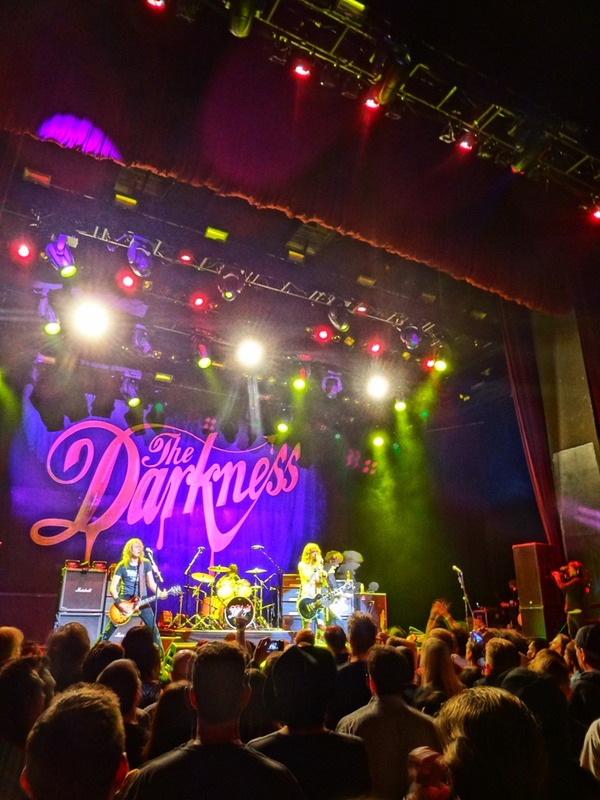 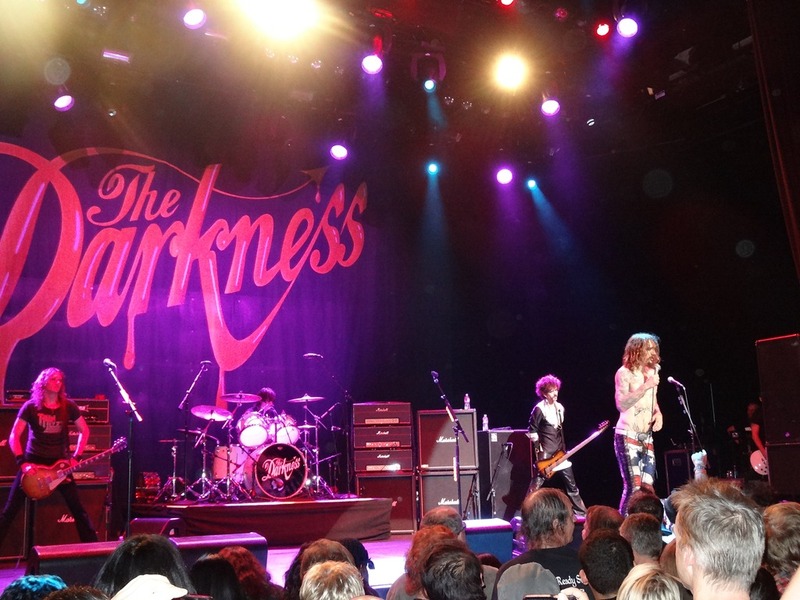 The DARKNESS Club Nokia 10/24/2012– LIVE AND LOUD IN L.A. –pictures, set list, etc. 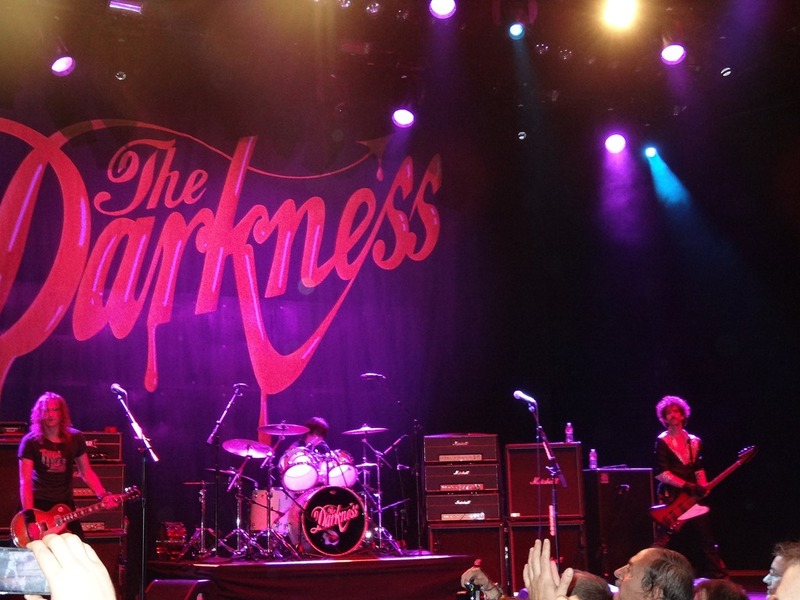 I love The Darkness. 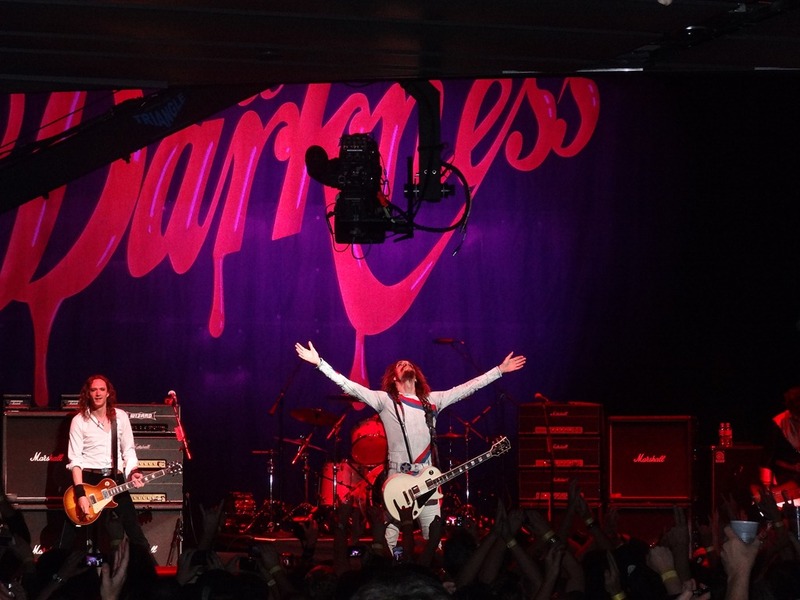 Their first album (Permission to Land) is incredible. 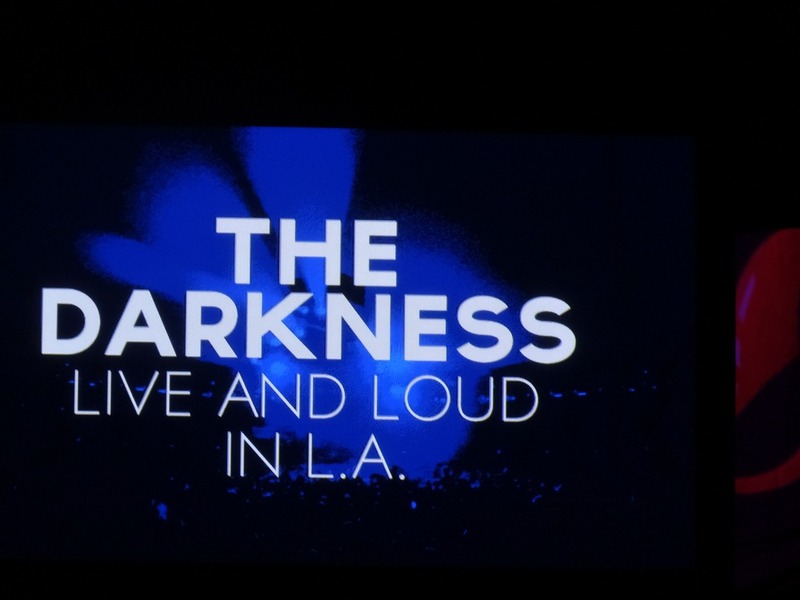 They played most of the songs off this album, so that was great. 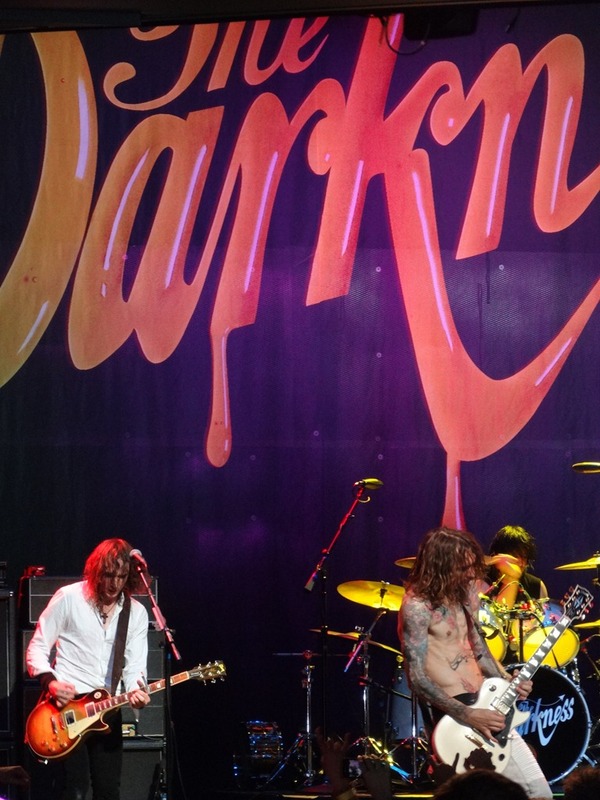 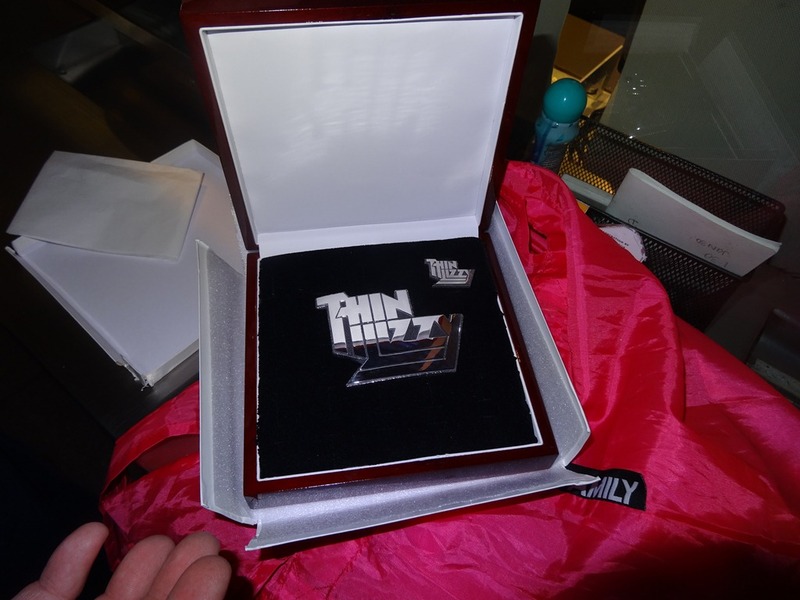 I bought their second album (One Way Ticket To Hell….and Back) the week it came out and it’s still in the shrink wrapping with a ton of my other “never listened to” CDs. 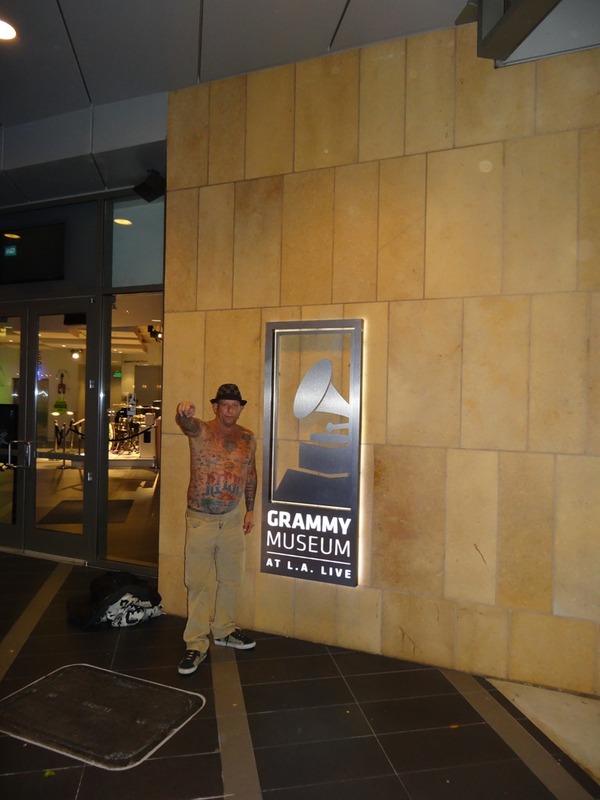 I used to buy tons of CDs every week and that one ended in the “To Do” pile and got filed away. 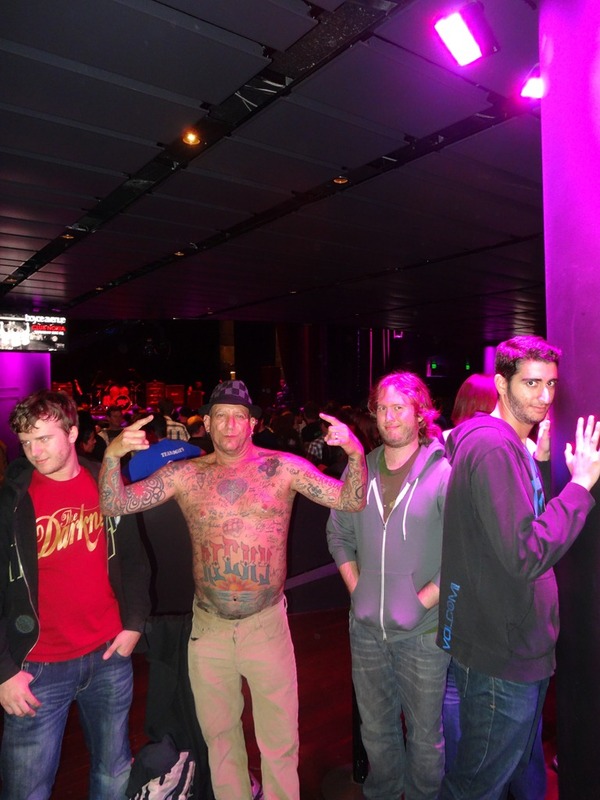 I think they only played two songs off it. 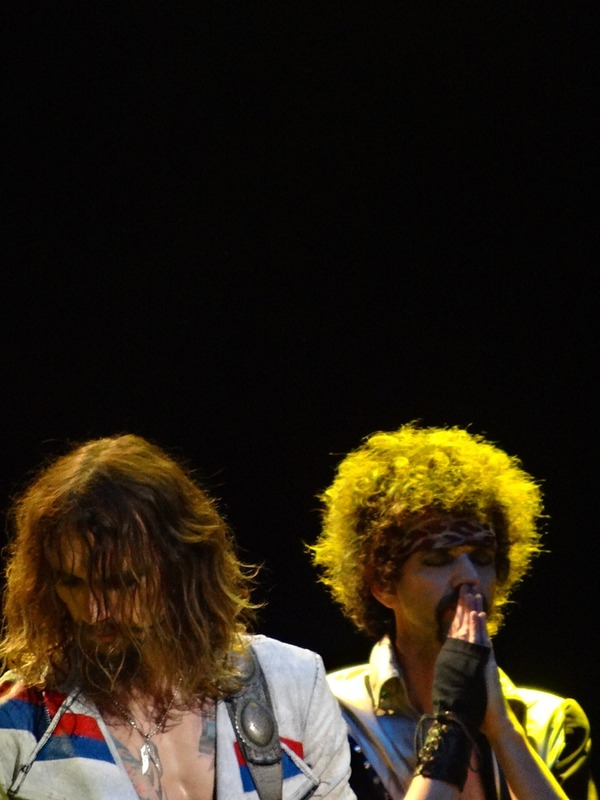 I will listen to that CD one of these days. 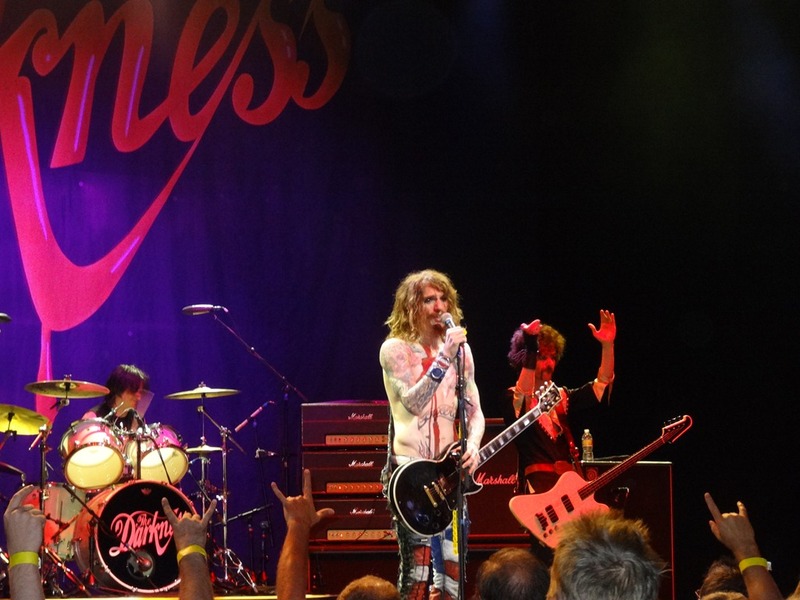 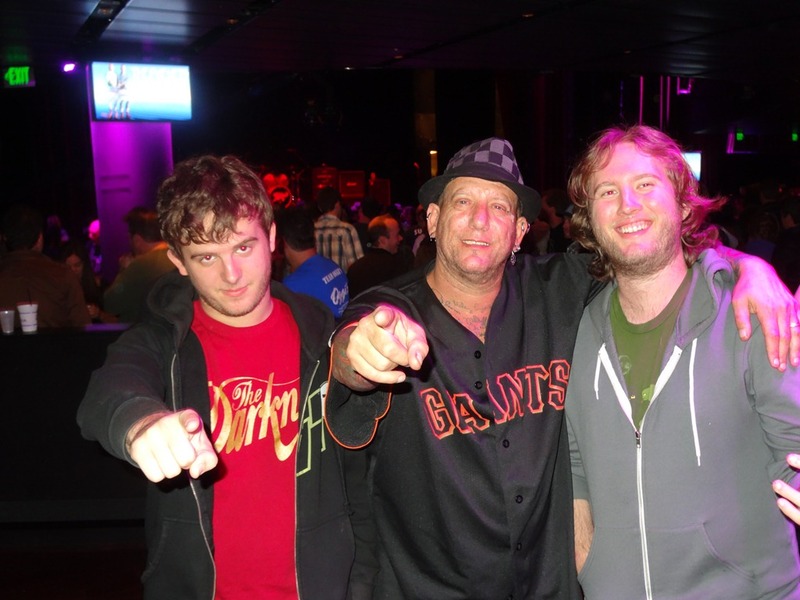 Their new album “Hot Cakes” recently came out and the songs are excellent. 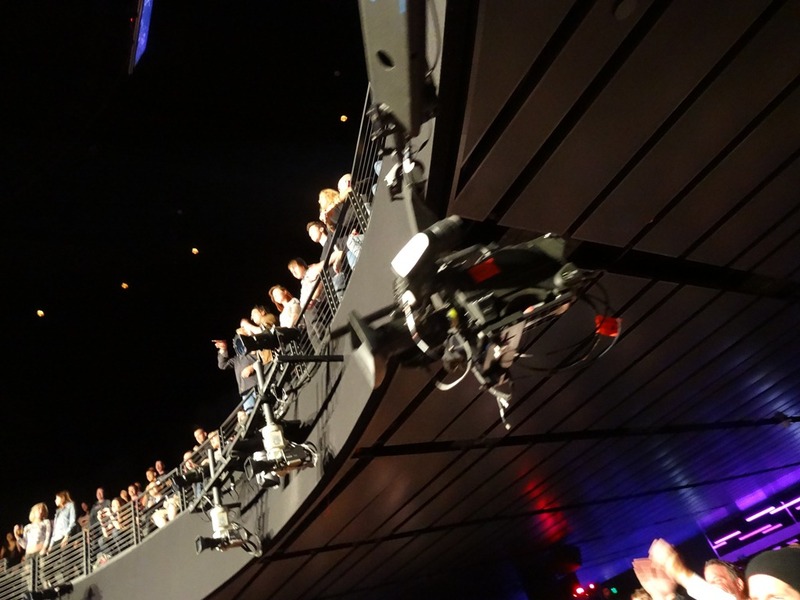 They played quite a few catchy tunes off of it. 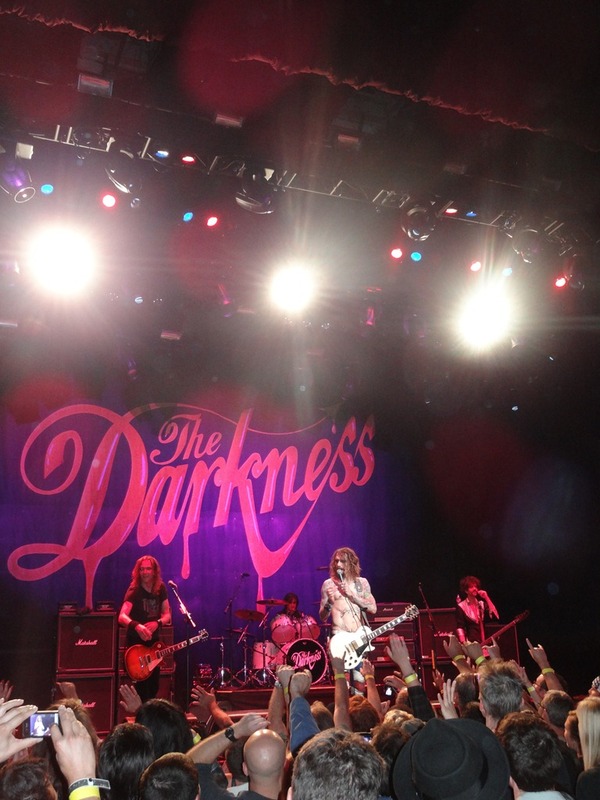 From beginning to end, this was a great show.